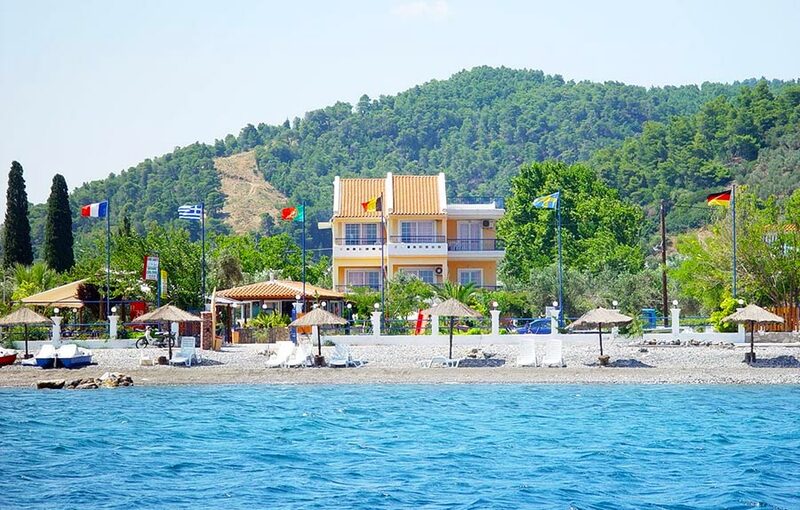 Located approximately 2km from the main town of Limni is the charming beach of "Sipiada". Here you will find a wonderful place where you can enjoy some of the more famous Greek elements - sun and sea. In Limni, you will find the "Evia Boat Yard", which operates a parking facility for both boats and caravans. 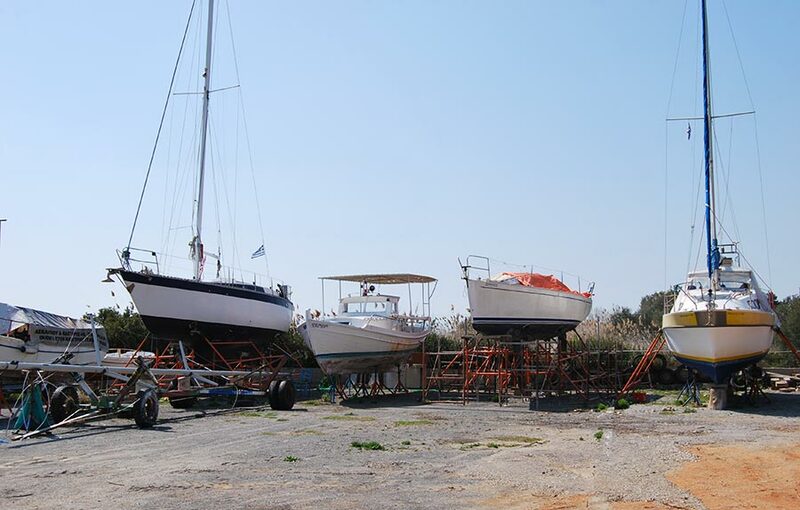 Open throughout the year, the "Evia Boat Yard" provides a safe and secure place where you can park your boats or caravans, for both short and long term periods. At our boatyard we offer a range of services for your boats including repairs of all types, washing, underwater painting and much more. You are also welcome to use our equipment and tools to do your own repairs while you either stay on your boat or at our apartments. If you would like any additional information about our boat repair and parking services please feel free to contact us. We speak English, German, Dutch and Greek. If you arrive in Greece via the Athens International Airport, there is a direct train connection to Chalkida, the capital of Evia. We offer a free pick-up from Chalkida, and also the town of Edipsos in North Evia. Simply get in touch to make your arrangements with us. boat repair and maintenance services. here or use our facilities. We had all the facilities we needed and the staff were extremely helpful and friendly. Excellent location and the boatyard was very secure and peaceful. We were able to work and stay on our boat for one week. This is a fantastic boatyard - well operated and with friendly people all around. We really enjoyed our time here.